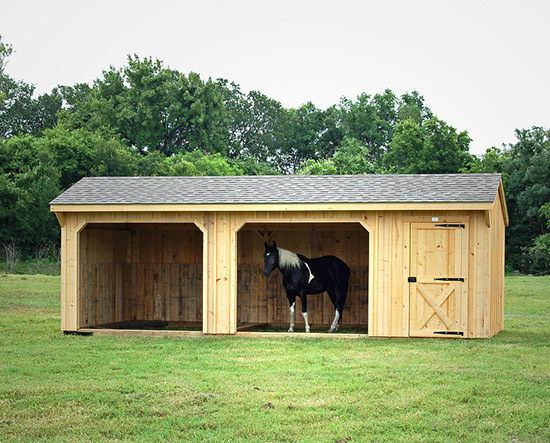 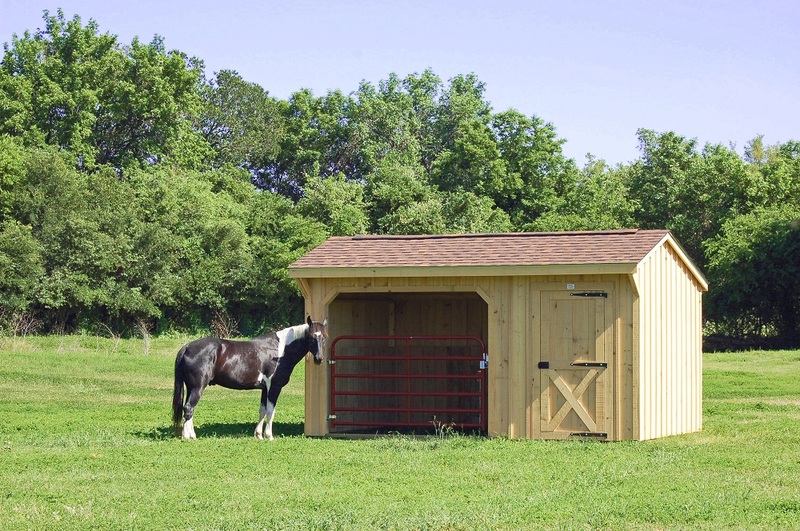 Horse owners know that portable horse run in sheds are great additions to any ranch or large property. 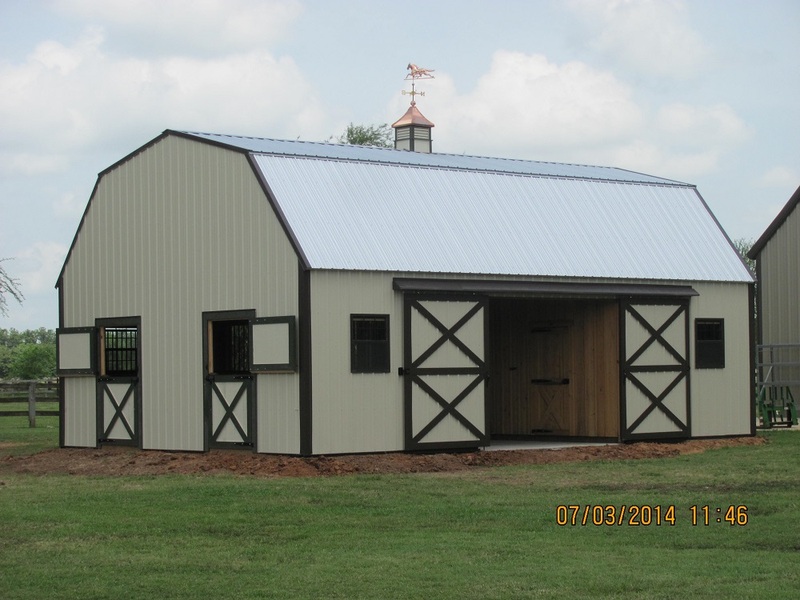 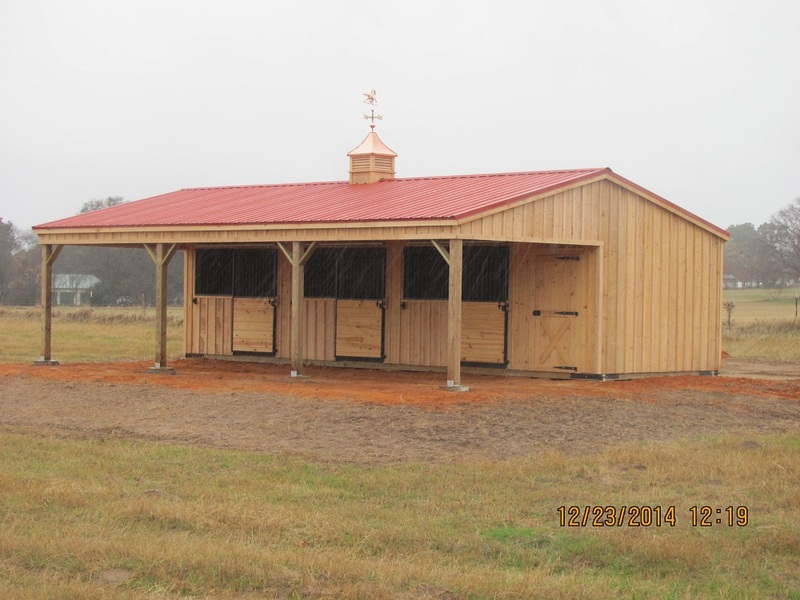 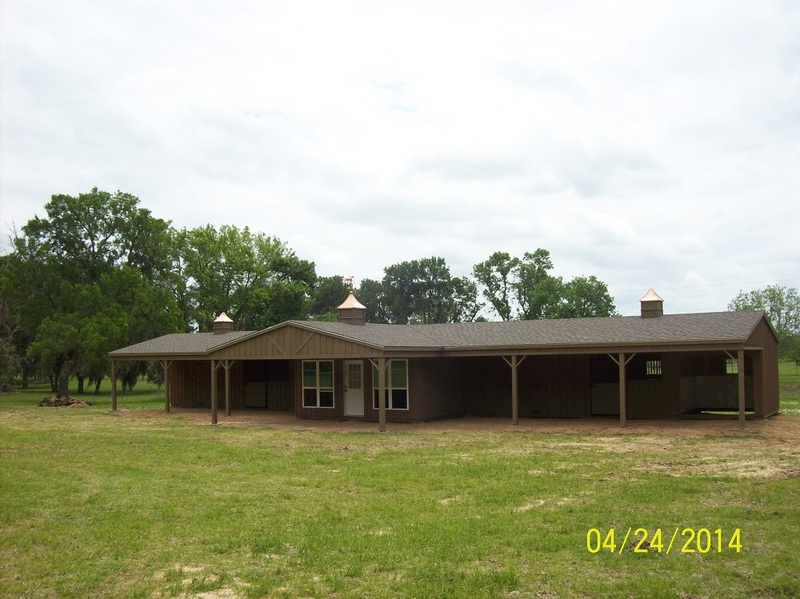 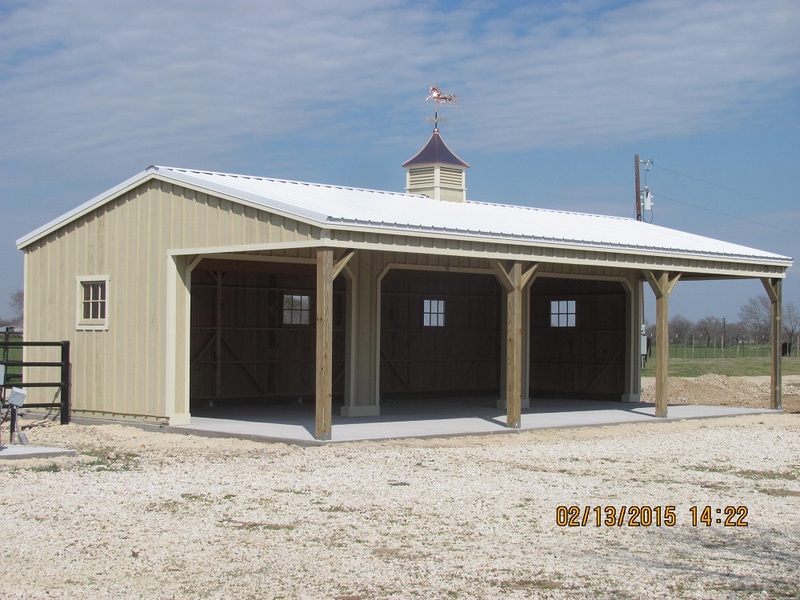 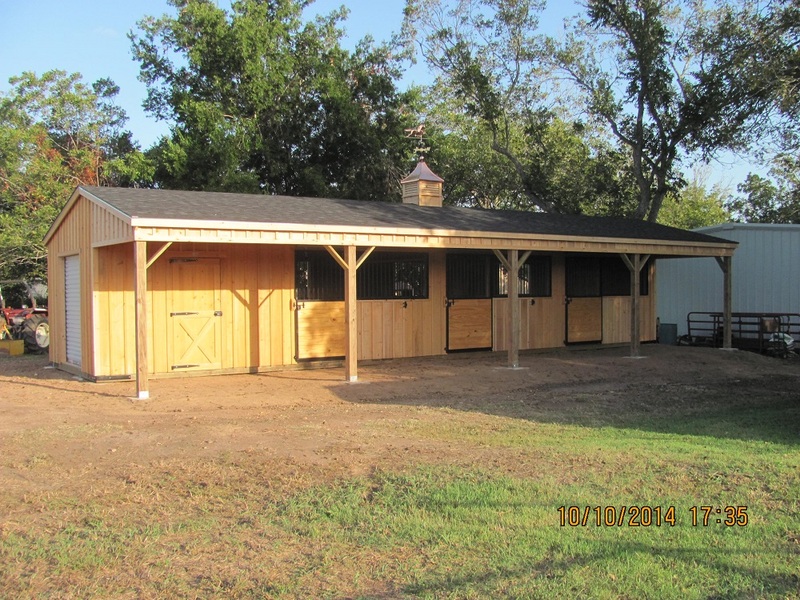 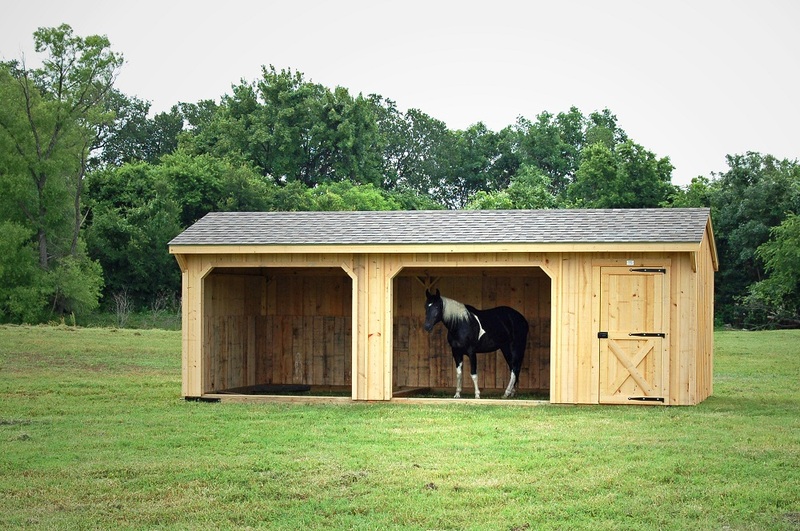 Portable run in sheds from Deer Creek Structures in Texas are perfect for all types of horses. 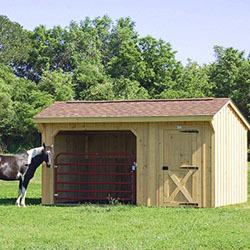 We love horses just as much as you do and are pleased to provide you a safe and secure way to move your beloved horses around. 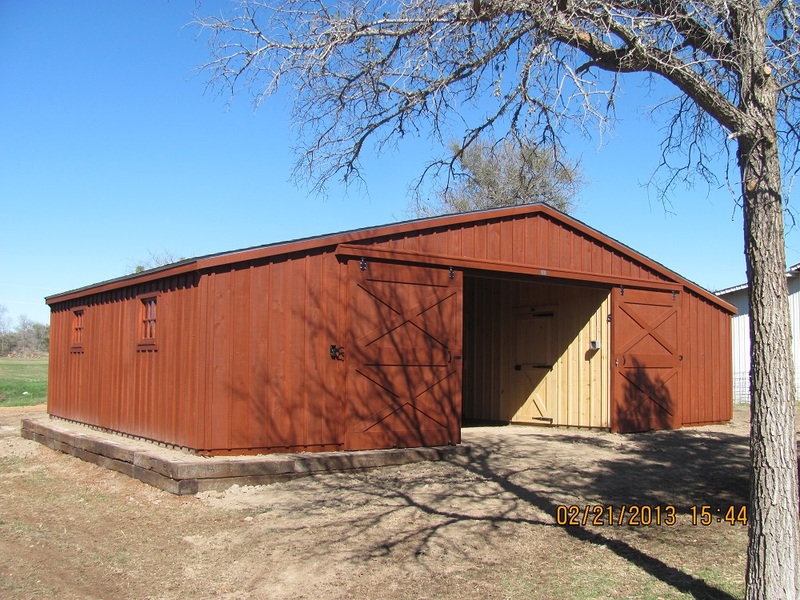 These aesthetically pleasing horse run in sheds for sale come in three sizes – 8 FT, 10 FT and 12 FT.
No matter the size though, each potable run in shed meets the high standards that Deer Creek Structures has set for itself and is made with only the best materials right in the heart of Texas. 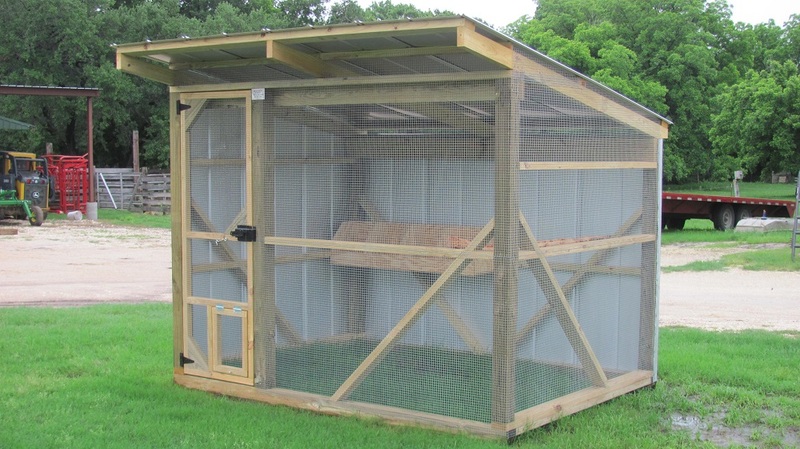 Looking for a run in shed? 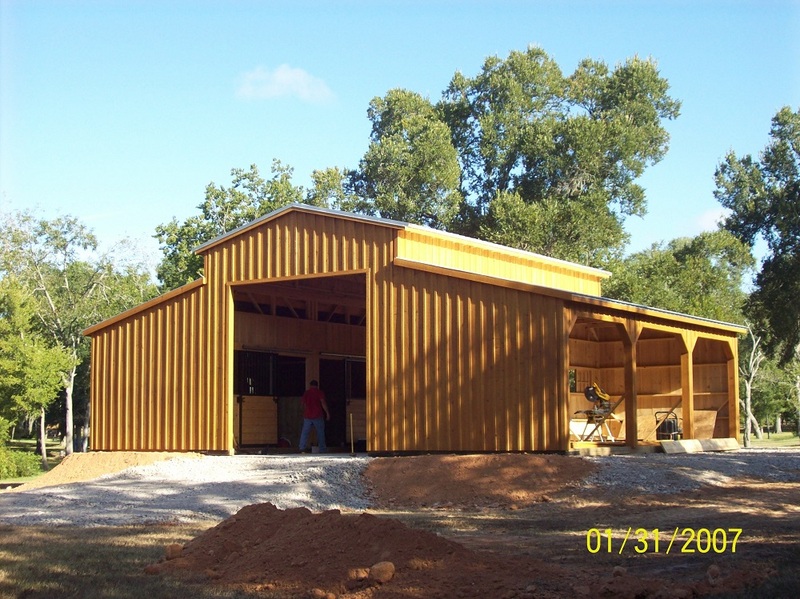 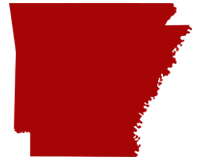 Call us today, or fill out the build a shed form here to get an idea of what type of options and costs are available. 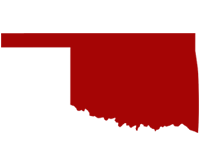 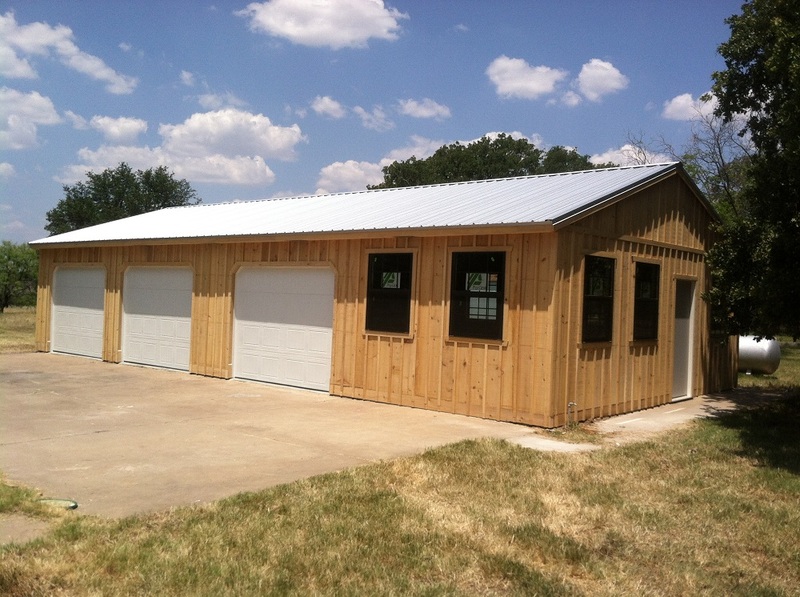 We also understand that you need your run in she to work for you and the specifics of your operations. 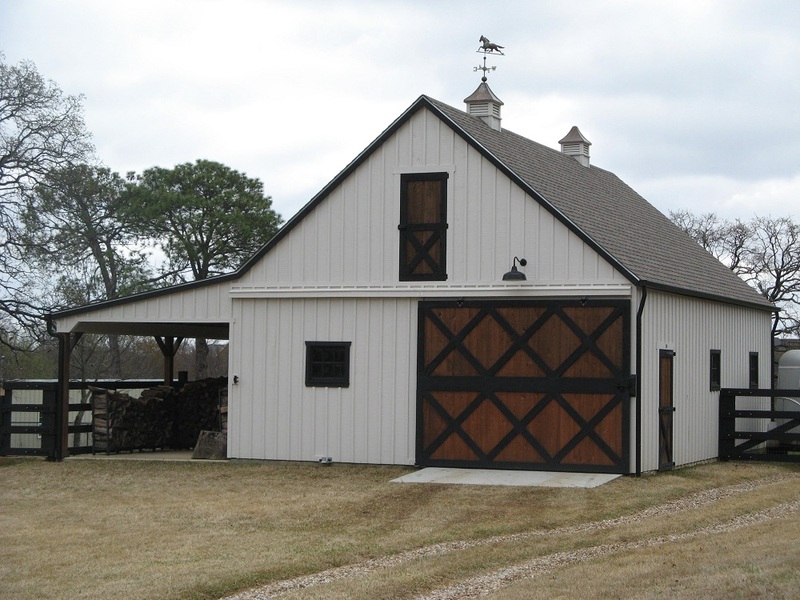 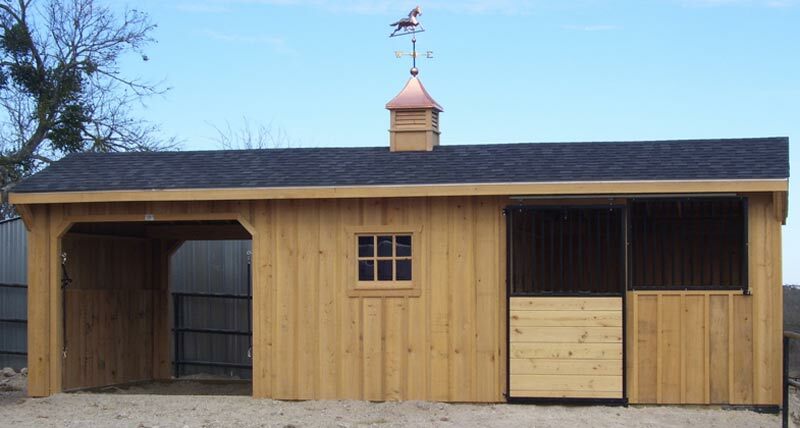 That’s why we also offer a selection of optional features to make your shed more unique and to match with the needs of your horse farm or ranch. 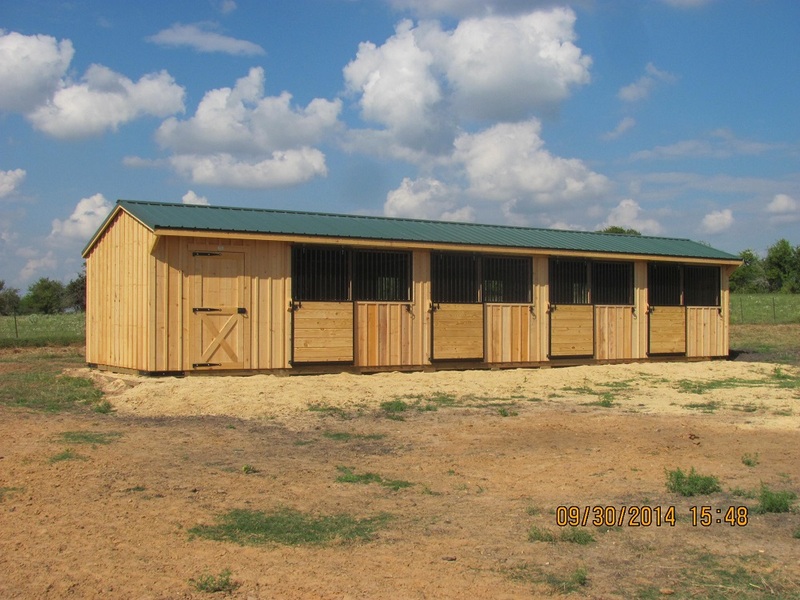 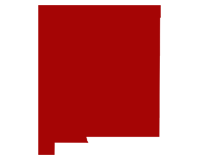 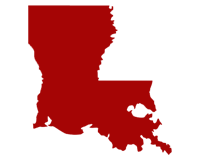 We can quickly deliver in stock run in sheds to the neighboring states around Texas. 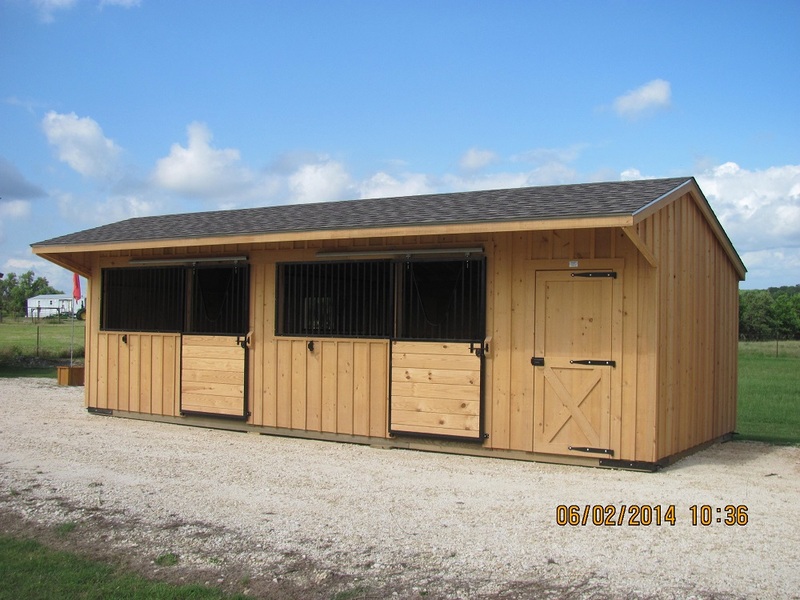 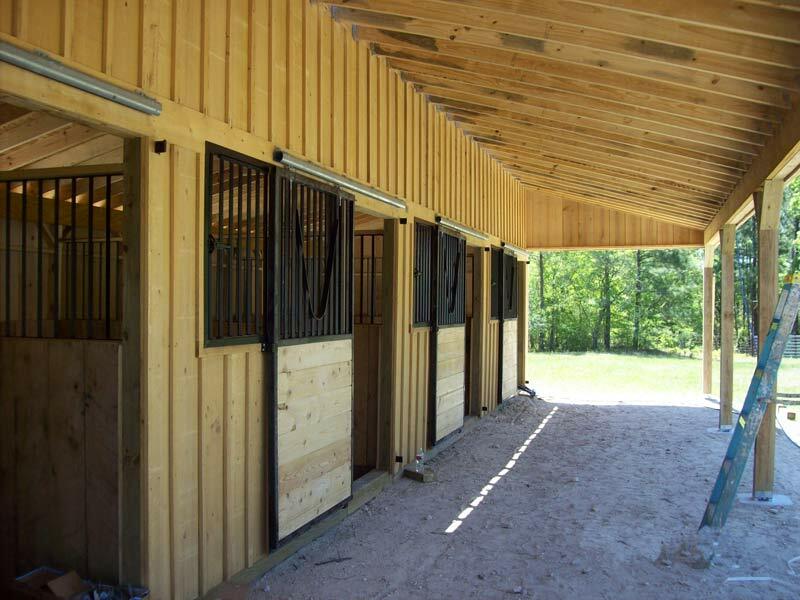 Call or email us today to get a quote on a custom run in horse shed today. 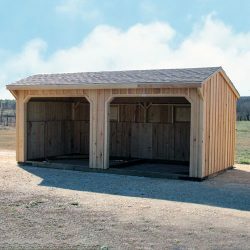 Run In Sheds In Stock! 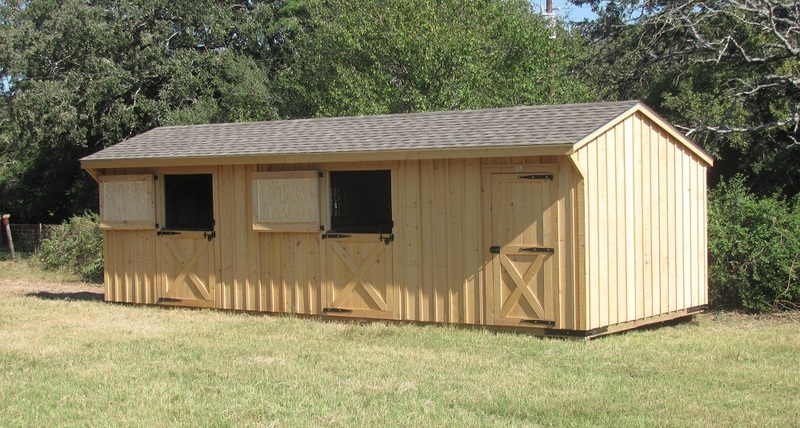 We have run in sheds available in stock if you are in a hurry. 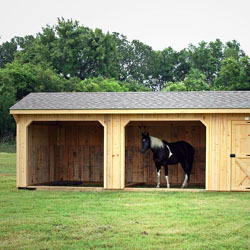 See what run in sheds are on the lot.